Update: A 14-year-old male passenger has died as a result of the injuries he sustained in the crash. Additional charges are pending on Greene. Abbeville – At approximately 10:30 pm on March 2, 2019, Troopers from Louisiana State Police Troop I began investigating a two vehicle crash on US Hwy 167 at LA Hwy 696 in Vermilion Parish. 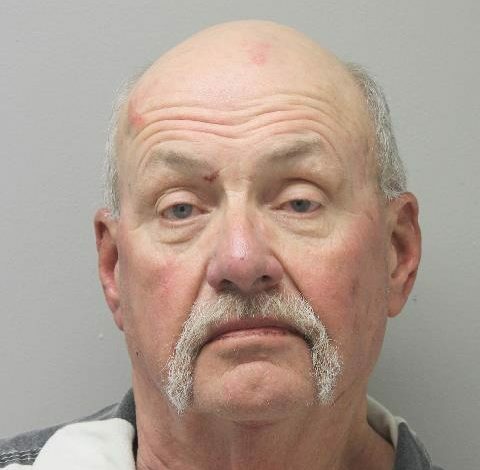 Multiple people were injured in the crash, and 67-year-old John Greene of Kaplan was arrested as a result. The initial investigation by State Police revealed that the crash occurred as 39-year-old Andrew Reed of Abbeville was driving a 2007 Jeep Liberty southbound on US Hwy 167. The Jeep was struck in the rear by a southbound 2015 Chevrolet Silverado driven by Greene. As a result, the Jeep ran off the roadway to the right into a ditch and struck an embankment. Reed was not wearing a seat belt and sustained moderate injuries. His front seat passenger and three juveniles seated in the rear of the vehicle were not wearing seat belts. One juvenile sustained critical injuries, and the other three passengers sustained moderate injuries. All occupants of the Jeep were transported to a local hospital for treatment. Greene was not wearing a seat belt and sustained minor injuries. Troopers suspected Greene was impaired at the time of the crash, and he submitted a breath sample which showed a BAC of 0.115g%. Greene was booked in the Vermilion Parish Jail on DWI (1st offense), Vehicular negligent injury (5 counts), Reckless operation, and No seat belt. This crash remains under investigation. Time and time again, Troopers witness preventable motor vehicle crashes. Louisiana State Police urge motorists to have a plan in place before consuming alcohol as it can impair visual ability, diminish fine motor skills, and decrease reaction times. Please choose never to drive impaired or ride with an impaired driver, and always buckle up. Simply making safe decisions while in motor vehicles can often prevent serious injury crashes such as this one.